Great value packages AND an easy booking system especially for groups…..
Not only do Clear Cut Weekends offer great value activity and hotel packages! Our booking system has been designed to help you manage your entire group. 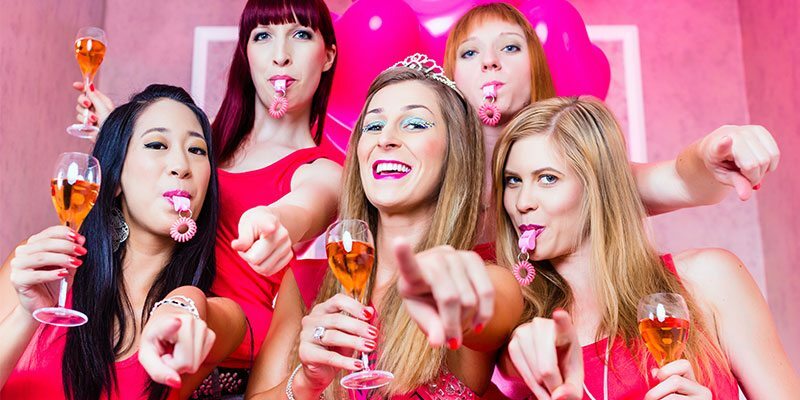 Planning a hen weekend doesn’t have to be hard work when you chose Clear Cut Weekends. Book your entire package with just £30 in total. We only need an ESTIMATED GROUP SIZE to start with. Use our EASY online system to send invites to your group. They’ll be able to login and pay their own £30 deposit and further payments. Update your group size based on the number of deposits received. Cancel people off who haven’t confirmed or send them reminders. At least 5 weeks before your event tell us your final numbers and settle the bill! We’ll send you a personalised schedule with addresses, times and maps leaving you to sit back and relax! After years of experience organising hen party and group events, we have developed a booking process and on-line facility ideal for making your life just that little bit easier. Sometimes organising a group of friends, family and in some cases people you have never even met before can be a daunting task. Our booking system will help to minimise the stress ensuring a hassle free hen party experience. To begin with, we only require a deposit of £30 in total to book as long as your weekend is at least 8 weeks away. After this, all of your friends can pay their £30 deposits directly to us. No need to collect all the money into your account and worry about transfers and funds clearing in time. It’s easy to invite your friends to pay on-line too. Once your £30 deposit has been paid, you can enter everyone’s names and use the handy invite buttons to send an email to each group member. They’ll be issued with their own login details where they can securely pay their deposit and later on make part payments and balance payments too. We ask that all deposits for people wishing to attend are paid within 3 weeks of the initial payment. At this 3 week point we’ll have a count up of who has accepted your hen party invite by making payment. We’ll contact you if it looks like some people are running late before taking anyone off the list. We aim to communicate with you throughout the process in order to keep you up to date and well informed. We require final numbers and the overall balance to be paid at least 5 weeks in advance of your event start date. If there has been a reduction in the number of people attending the Group Leader must notify us before this point otherwise we can’t cancel the places and the Group Leader will still have to pay. The balance can be paid all in one go or in part payments along the way. We don’t mind just as long as the overall total is received at least 5 weeks in advance. Once your balance has been paid we’ll email you a personalised schedule with addresses, times and maps. All you have to do is turn up at each place on the list and enjoy a hen party experience of a life time!